Mikey Manfs is popularly known for two things: he is a fast-rising YouTuber and a music artist with so many accomplishments ahead of him. If you haven’t seen any of his music videos yet, then you probably must have heard about his channel on YouTube. On both fields, Mikey has been incredible. In addition to the fame his hard work has won him, he has a lot of people following him on his social media pages, where he mostly gives publicity to his craft. Here, we have all the details about the YouTuber, his family, and other facts you probably didn’t know about him. Scroll down to find them. Mikey Manfs is a popular YouTube scooter rider born with the name Michael Manfre on the 30th day of August 1990. He is a native of New Jersey, in the United States and a member of the white race. Right now, records containing Manfs’ background and other information about his childhood, early life, and education, are not readily available for public consumption. Nevertheless, it is believed that Mikey completed his basic studies and that he had a pleasant childhood. For some personal reasons, Mikey Manfs hasn’t been outspoken about his parents, their names, respective ethnicities, occupation, and where they are currently residing are not known. On several occasions, he has featured his mother in his videos but he has never mentioned her name or that of his dad rather his mother is known to his fans as Mama Manfs. The YouTuber, however, has a brother called Tyler, with whom he grew up. Not much is known about Tyler, what he’s been up to and where he currently lives. Just like their mother, he appears to be supportive and comfortable as well with the career path his brother has chosen. On YouTube, Mikey Manfs is known to many people as a professional scooter rider. In addition to his scooter-related contents, he also uploads challenge completion videos, personal vlogs, general entries, pranks, and other funny contents. The American scooter rider started out by creating his first YouTube channel titled: Mikey Manfs in the year 2014. However, his first YouTube video captioned: ‘Scooter Edit At JUMPSTREET Skatepark was posted online two years later, after which he began dropping other related videos. His channel also features a variety of videos revolving around challenges such as Overnight Challenges, 24 Hour Challenge, 3 am Challenges and more. So far, Mikey’s videos have raked in more than 144 million views and more than 1.2 million subscribers, which is quite impressive. His second channel, Mikey Manfs Too, was launched on the 9th of October 2016. Manfs exclusively dedicated this particular platform to shenanigans, extra vlogs, car videos, and other related contents. As of August 2018, more 34 thousand people have subscribed to the channel even though it has fewer contents. 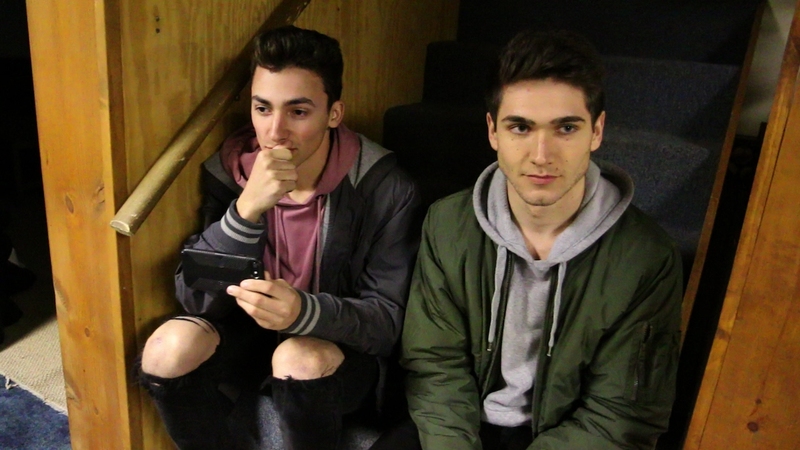 As a singer, Mikey Manfs has released four hit tracks so far. His debut song titled “Don’t Take It Serious” was released in the year 2017 as a diss to fellow YouTuber Jake Paul. Born Jake Joseph Paul, Jake is also an actor who owes his popularity to the video application, Vine. The remaining three are AMG (released in 2018), Spaceship (featuring Jamskillet, released in 2018), Money Dance (released in 2018). 1. 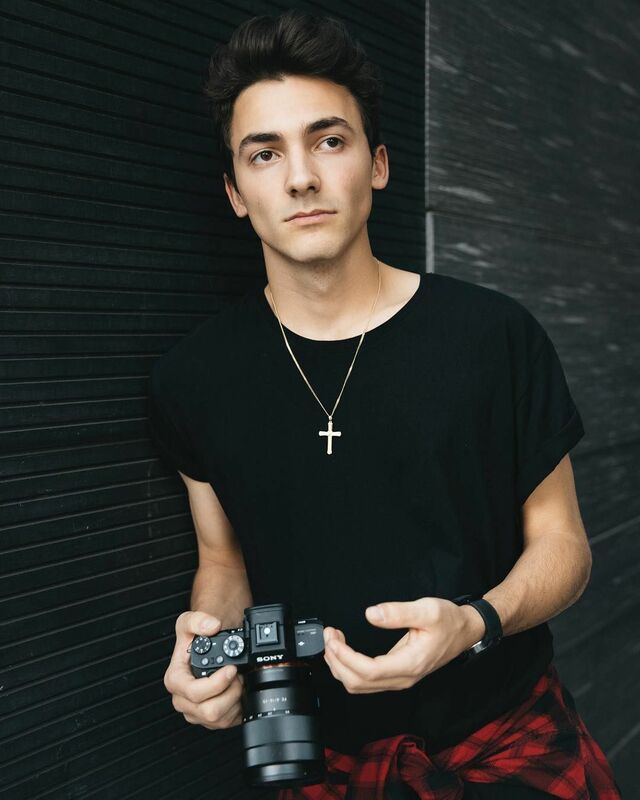 Mikey Manfs is best friends with Brick Township, New Jersey-born professional scooter rider, JonMarco Gaydos (born December 21, 2002) and YouTuber Jake Dufner. 2. The YouTuber is numbered among the top best scooter riders in the world. 3. Ever since he broke out, Manfs has banded together with notable brands such as Elyts Footwear, Lucky Scooters, and Zeus, to name but a few. 4. He has mentioned that he is an avid food lover and that he likes to sleep as well. 5. He has an estimated net worth of one hundred and eighty thousand dollars. 6. The YouTuber stands at an ideal height of 6 feet and weighs around 66 to 68 kilograms in body mass. 7. Manfs is not a married man. He is currently single and not in a relationship with any girl. 8. Manfs’ brother has his own YouTube channel titled: Tyler Manfre which boasts an impressive number of followers. On Instagram, Tyler is being followed by over six hundred thousand loyal fans who are in love with what he does. He once appeared in JonMarco’s YouTube video along with his brother. The title of the video is “KISSING RANDOM GIRLS CHALLENGE”.